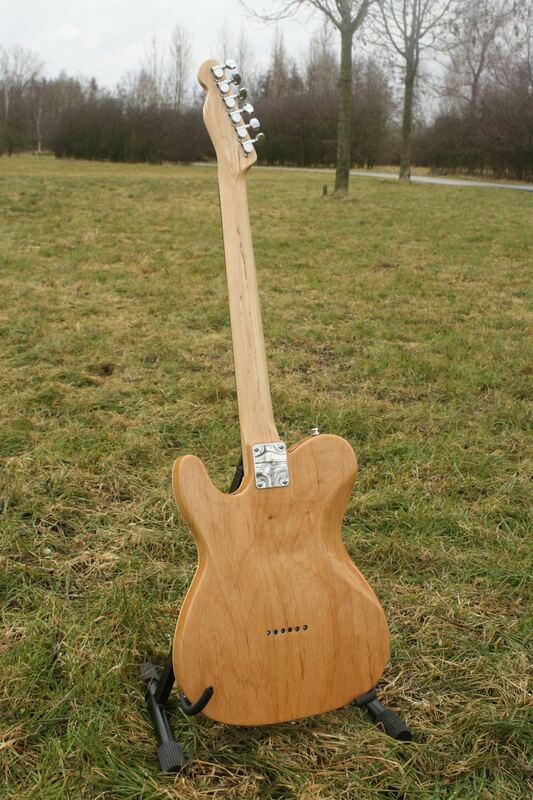 For my friend Noud I made a nice Telecaster. 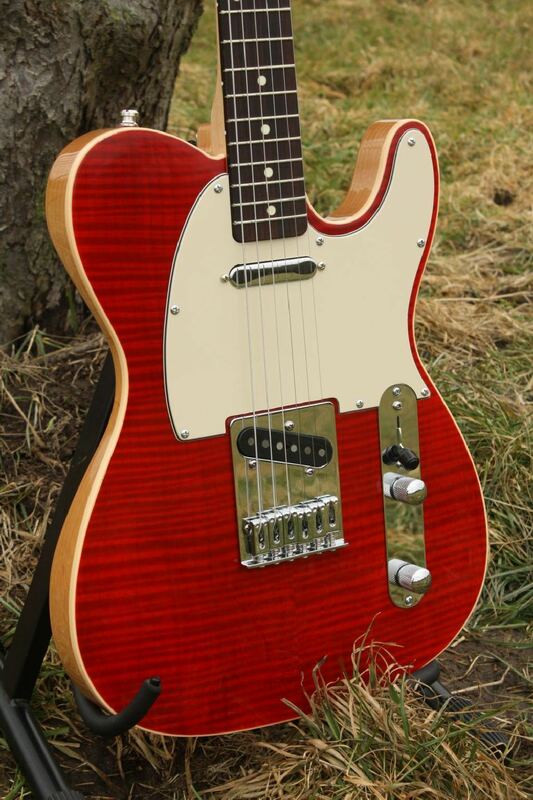 With a super lightweight Alder body for great tone and no pain in the neck after 3 hours of playing. 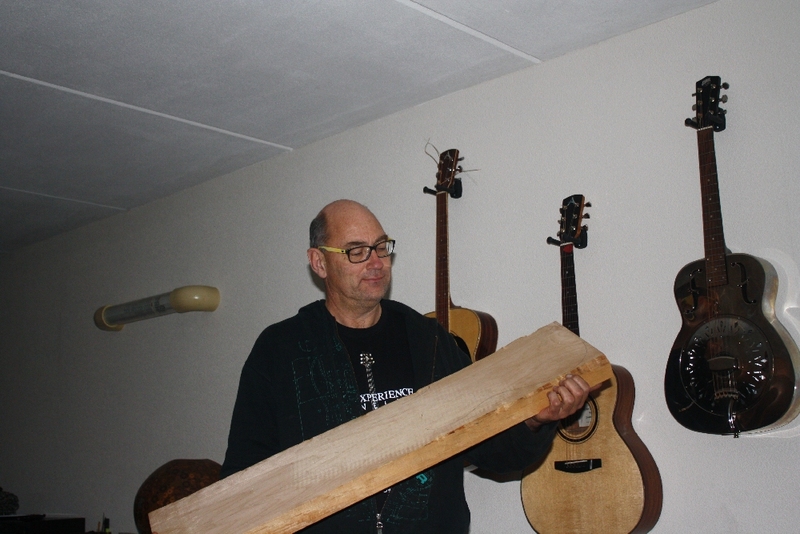 Noud likes curly maple tops and we aimed for a nice transparant red laquer. 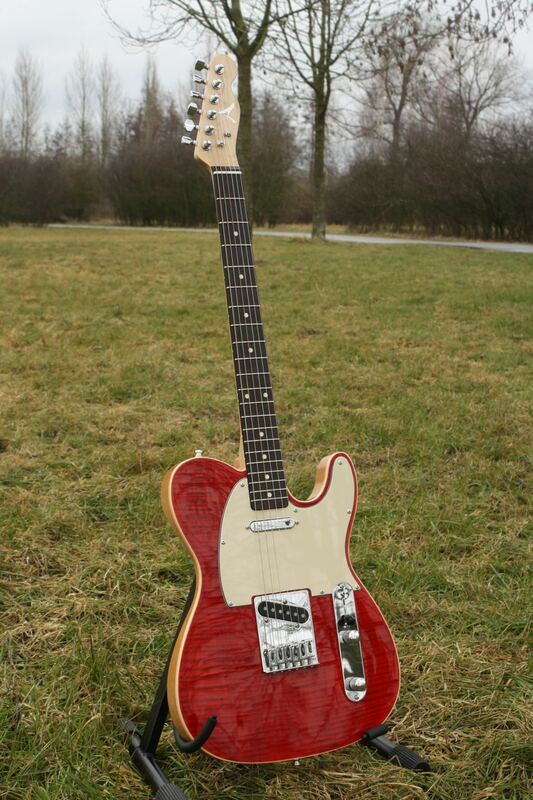 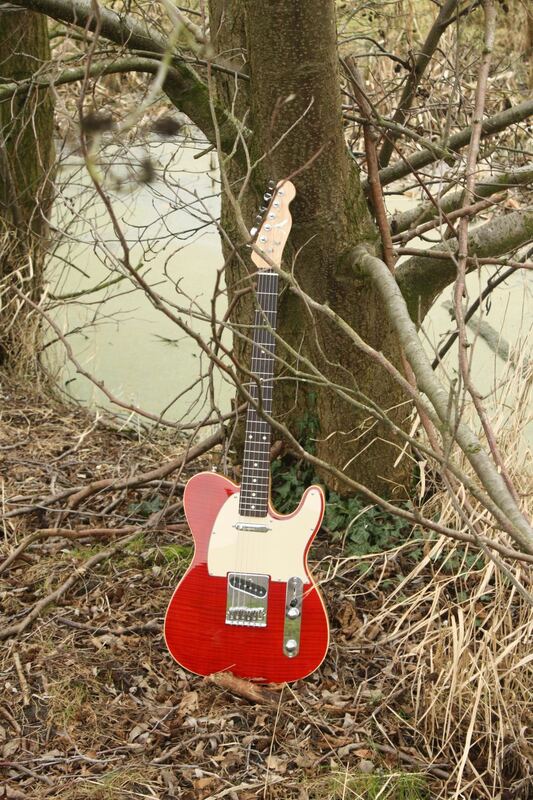 Telecasters can appear quite dull, but this one catches the eye. 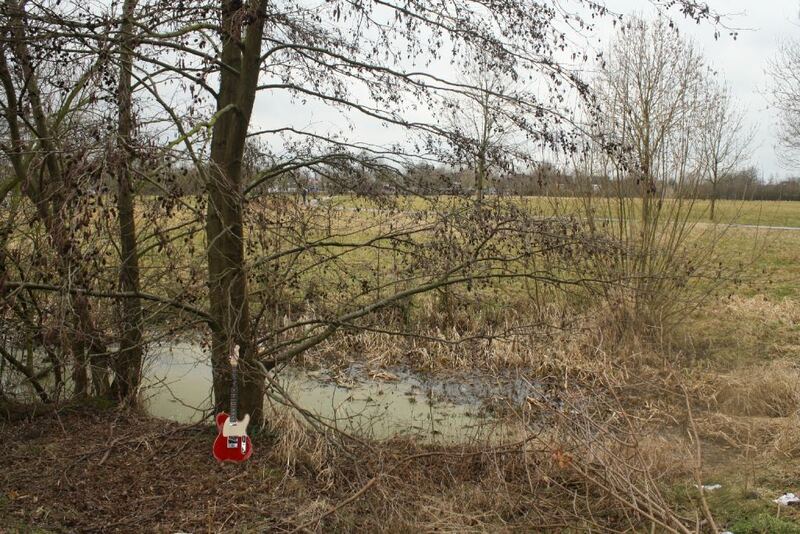 Go Noud Go!